For a second year, MetroDolls was proud to host the Tonner Doll Company dinner at the 61st UFDC National Convention. Held in Chicago, this years convention theme was "My Favorite Things". "Silver White Winters", the dinner motif, featured Tonner's new 13" Miss Revlon doll. Three variations of the doll were available dressed in white for the centerpiece, red as the event doll and black for the companion doll. photo courtesy Tonner Doll Co. Working toward the event, club members created table favors of a make-up set for the Miss Revlon doll. 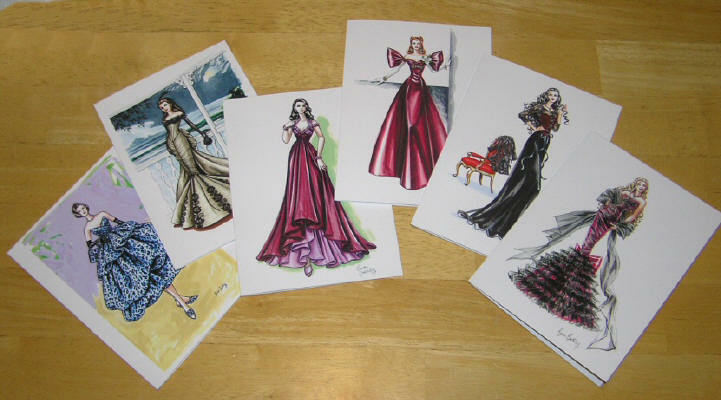 A set of note cards featuring sketches by Brian Bulkley of MetroDoll event dolls was also gifted to the event attendees. Additional note cards are available for purchase on our sales page. Thanks to all who helped us raise $12,965 to benefit Susan G. Komen for the Cure/Central and South Jersey at our April 2010 "Garden Party" luncheon. 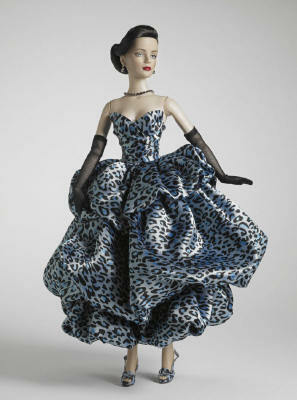 The event doll, Wild Garden Sydney now available on our souvenir sales page. Look for information on our 2011 event coming soon! !